There have been big changes on board PAL’s (Philippine Airlines) A330-300s, with eight of its 414-seat single-class aircraft converted into 309-seat three-class planes, with business, premium economy and economy class cabins. PAL selected the Thompson Vantage XL model for the 18-seat business class cabins, with a pitch of 44in, a seat width of 23-24in, a full-flat recline with a bed length of 78in, and direct aisle access for all. Other features include a legrest, calfrest, footrest and coat hook, and Lantal’s Pneumatic Comfort System (PCS), which allows the seat firmness to be adjusted according to passenger preference, complemented with a massage function. PAL is the first Asian carrier to offer the PCS system. The Zodiac 5810 brand was selected for the 24 premium economy class seats (pictured below), which have a 38in pitch, 19in width, 8in recline, and and also feature a legrest, calfrest, footrest and coat hook. Zodiac is also supplying the 267 seats in economy, which will have 32in of legroom, a 17in width, and recline of 6in. The aircraft are being fitted with Zodiac RAVE IFE systems (18.5in in business, 13.3in in premium economy and 10.1in in economy, as well as onboard connectivity. 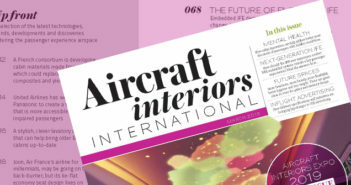 We will have further details in the September isue of Aircraft Interiors International, including the work PAL’s design consultancy – LIFT Strategic Design in Tokyo – has done on the mood lighting and the laminates and fabrics that are derived from Filipino culture. PAL’s president and COO, Jaime J. Bautista said that the airline was, “inspired to go through the process of providing passengers with a reconfigured aircraft with meticulous seat and IFE selection. As we journey on to becoming a five-star, world class, full-service carrier with a heart, we devote our efforts towards meeting customer needs”. 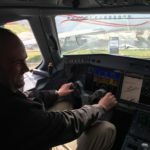 The first reconfigured A330 will be utilized for the Manila – Honolulu – Manila route starting this month, while other tri-class A330s will be unveiled in July for Melbourne, in August for Sydney, in September for Singapore, in October for Haneda, in November for Narita and in December for Osaka.